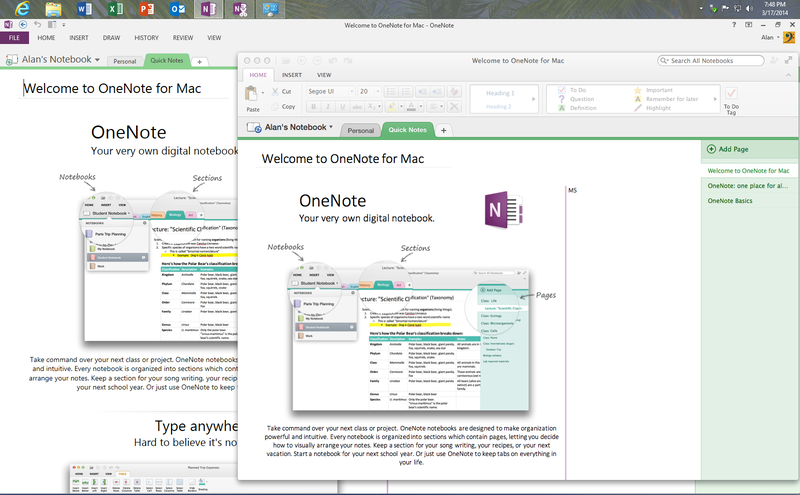 Earlier today, Microsoft released OneNote for Macintosh OS X 10.9 Mavericks. 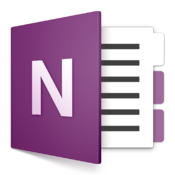 To use OneNote, you need a free Microsoft account. If you have a OneDrive account, formerly known as SkyDrive, or a subscription to the company's Office 365 Home Premium, you're good to go. To install OneNote for Macintosh, you need to be running the aforementioned OS X Mavericks. You also need 235MB of disk space. OneDrive is compatible with OneNote 2010 and later for Windows, and the pre-existing OneNote and OneDrive for iOS devices. I really hope that OneNote for OS X, with it's features mirroring the Windows functionality, is a sign of things to come. As someone who's been using Office for Windows and Mac OS X over the last 20 years, it has been really frustrating to have two products that are only the same in name only. Hopefully, we will finally see a Microsoft that lets Office be Office, and not an expensive Windows-only add on. According to Microsoft, OneNote is "free for a limited time," however, there is no mention of when this offer will expire. 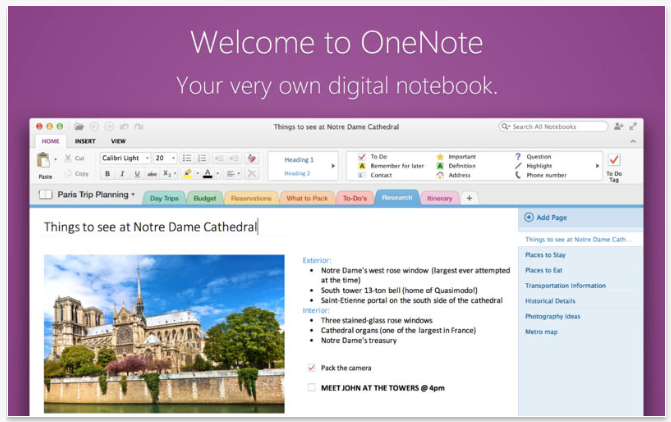 OneNote is available now from the Mac App Store.